Jess will use her hands to manually assess the animal’s musculo-skeletal system. Any pain responses or areas of tension and spasms can be picked up here. Increased and decreased muscle mass can also be picked up here, as well as taut bands, scar tissue and lesion. This is a soft tissue therapy for the treatment of skeletal muscle immobility and pain. This technique improves blood and lymphatic drainage, relaxing tense muscles and stimulating the stretch reflex within the muscle. Jess also used the Fasical Edge tool designed by Andrew Glaister. 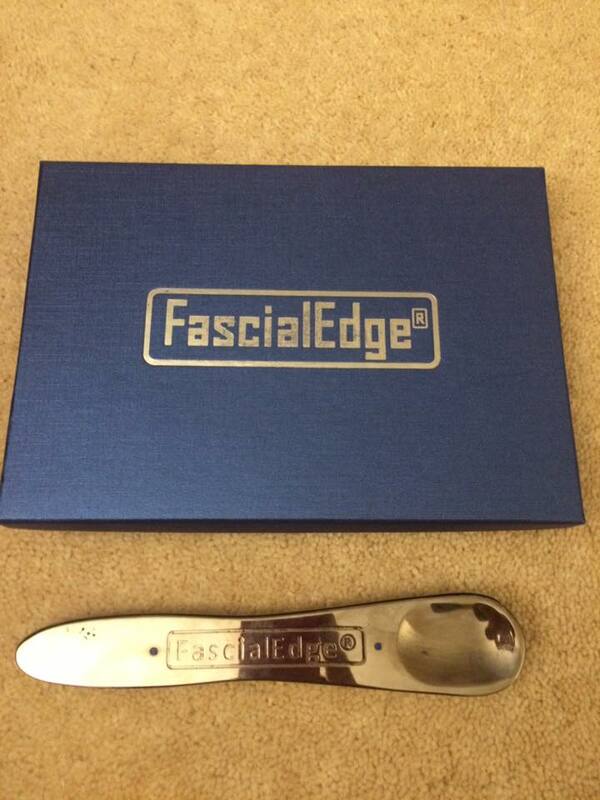 The FascialEdge® tool to release fibrosis and fascial adhesions along the horse`s kinetic chains. At the same time, various neurological pathways are activated which further release tension in the myofascial tissues. Using the FascialEdge® it is possible to work more thoroughly and deeply into the tissues than is possible by hand and the tissue response is almost immediate. This is the manipulation of the deeper and superficial layers of muscle and connective tissue. Massage helps increase blood flow to the area, bringing nutrients and oxygen to the muscle. Massage also helps to remove waste products from the muscle and alleviate pain. 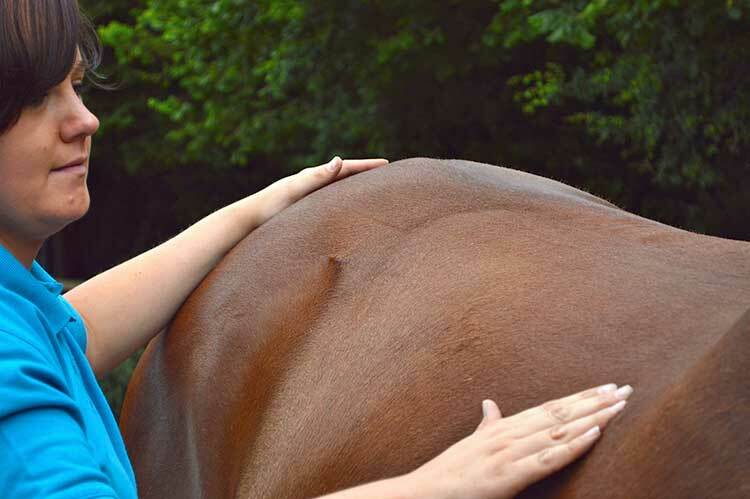 This helps relieve tension and muscle spasm, as well as having a relaxing effect on the horse. Massage also increases elasticity of the soft tissues, breaks down adhesions and softens bruising and scar tissue. 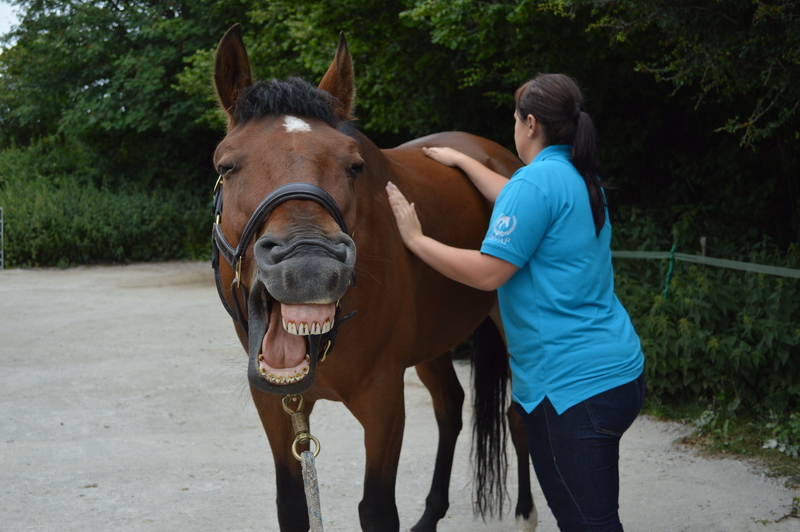 Alongside correct exercise, massage can help enhance muscle tone, stamina and performance. 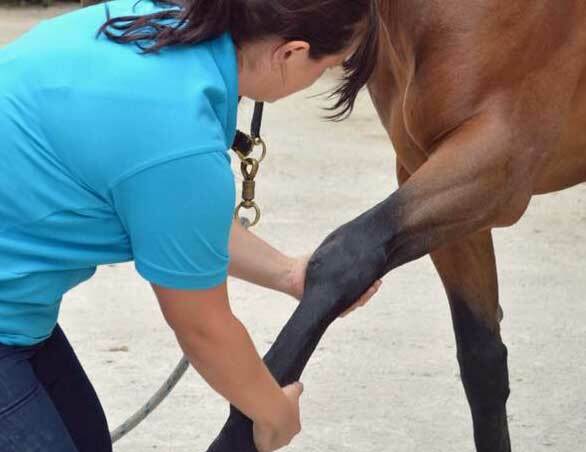 It can have a beneficial effect for competition animal’s pre and post competition to reduce stiffness and soreness. Trigger point therapy is used during treatments using ischemic pressure. This is a common technique used in shitsu work. Range of motion and stretches are used in most treatments which help to elongate tissues and lubricate joints.Stretches are particularly effective post massage once the tissues are warmed up. The use of heat and cold is very effective and may be incorporated in to treatments to assist with the other treatments.